Contacts will enter your marketing world in many different ways. The category “offline sources” includes old email lists, conference attendees who visited your booth and registrants from a webinar that you co-hosted with a partner. Each of these sources likely starts out as an Excel spreadsheet. Once the basic data is properly formatted, you may want to add additional columns for fields that wouldn’t normally be included in the original dataset, such as persona and lifecycle stage. This likely requires you to go through the spreadsheet manually to add this data. There may also be other required fields (e.g. if you segment your leads by industry). 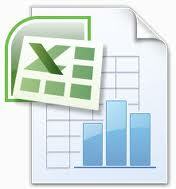 All of this extra data work should be done in Excel prior to importing. Now that your additional fields are added, export your spreadsheet as a CSV file. From here, your CRM and marketing automation system should have an import tool to upload the CSV. If you use an all-in-one system like Hubspot, this can be done in one step for both the sales and marketing sides of the funnel. Once the upload is complete, your CRM and marketing automation system should generate a list of just those imported contacts (in Hubspot, this is referred to as a static list). This list can be used to enroll these contacts in specific nurture workflows or to send them a customized follow-up email if you met them at a conference.